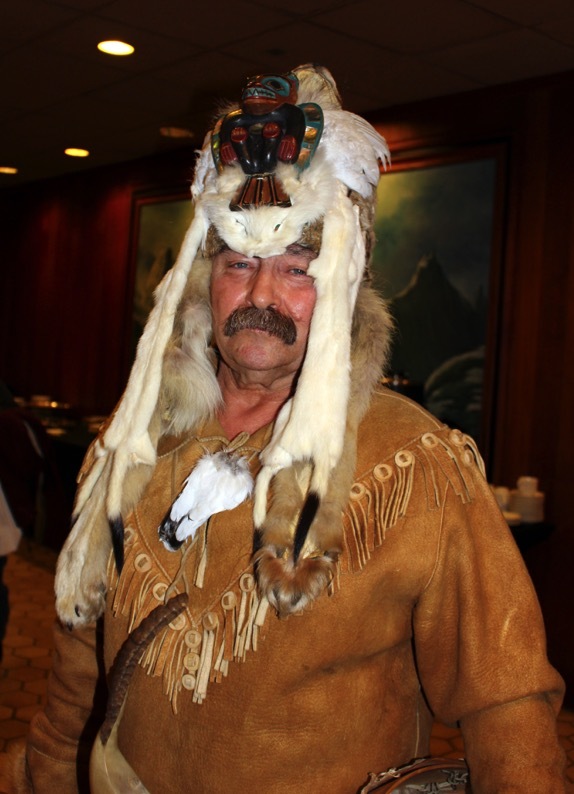 Ron Chambers, of Southern Tutchone, Tlingit and Scottish ancestry, gifted the audience with traditional songs and dances to conclude the Alaska Native Place Names Workshop, held in Anchorage, Alaska, April 29, 2015. Chambers was raised in Kluane, Yukon and also Haines, Alaska. He is wearing a hand-tanned moosehide jacket and a 50-year old headdress showing his clan symbols of wolf and eagle, adorned by ground squirrel skins given to him by his grandmother.